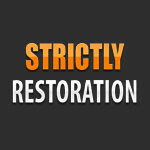 Strictly Cleaning Restoration is your premier choice for all your damage and restoration needs. We are locally owned and operated in Brooklyn, New York. 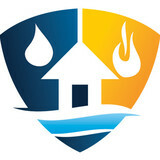 We are uniquely qualified to deal with major catastrophes in your home that can come with living in New York City.We are locally owned and operated in Brooklyn, New York, we are uniquely qualified to deal with major catastrophes in your home that can come with living in New York City. 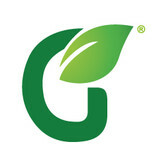 Green Restoration Group LLC is a disaster restoration contractor serving the Stamford, CT area. Services include Water Damage Restoration, Fire Damage Restoration, Mold Testing & Remediation, Smoke & Odor Removal, Storm Damage, Flood Damage, Burst Pipes, Emergency Plumbing and Dry Out Services. We are a family owned water damage restoration, sewage removal, basement drying, structural drying, mold Inspection & mold remediation business based in New Jersey since 1999. 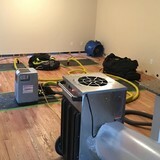 We use high tech devices to determine the full extent of any water damage and provide the proper remediation necessary with the best drying equipment in the industry. We service residential and commercial property. References can be provided as well as the proper certifications and a NJ contractors license. The condition of your home or business is a reflection of yourself, and you don`t need it to give the wrong impression. People notice a well-kept indoor area, but you may not be able to do all you do and take care of the cleaning too. Home cleaning and office cleaning may be something that takes a special effort to satisfy your standards. If you are not able to sufficiently clean where you work or live, or if your current cleaning service is just not getting it done, you need to call our Customer Service. Our housecleaning methods are second to none, at prices to meet or beat anyone in the business of providing impeccable housekeeping. Our dedicated cleaners are truly professionals in making sure your home or office is transformed into spotless condition. They systematically review the space, develop the strategy to best perform the job, and waste no time in removing dirt, sanitizing, washing, vacuuming, and deep cleaning areas that never receive attention. Restoration 1 of Fairfield County is a mold remediation serving the New Canaan, CT area. Services include Mold Remediation, Mold Testing, Indoor Air Quality, Water Damage Restoration, Dry Out Services, Burst Pipes and Flood Damage. Serving towns of Bridgeport, Stamford, Norwalk, Danbury, Hamden, Stratford, Greenwich, Shelton, Trumbull, Westport, Ridgefield, Darien, New Canaan, Monroe, Bethel, Wilton, Brookfield, Newtown, New Fairfield, Sandy Hook, Weston, Redding, Riverside, Easton, Old Greenwich, Cos Cob, Sherman, Botsford, Fairfield, Georgetown, Greens Farms, Hawleyville, Huntington, Redding Center, Redding Ridge, Ridgeway, Southport, Stevenson and West Redding. Groundswell Contracting is a full service renovation, green building and property damage restoration firm. Customer service oriented, we provide energy saving solutions and an intelligent approach to property restoration - as well as everything in between; from kitchens and baths to roofing and siding. Green Restoration Group LLC is a water damage restoration serving the North Haven, CT area. Services include Water Damage Restoration, Emergency Water Removal, Smoke Damage Restoration, Fire Damage Restoration, Mold Remediation, Mold Testing, Storm Damage, Burst Pipe, Flood Damage, Dry Out Services, Air Duct Cleaning, Appliance Leaks, Asbestos, Indoor Air Quality, Junk Removal, Odor Removal, Sewage Cleanup and Trauma Scene Clean Up. As a Youth Community Worker Mendel Tevel covers all the key qualifications, duties and responsibilities of this role and can be easily customized to hire clinical, medical or school social workers. EcoPlus Pest Control is an eco-friendly pest control and extermination company serving New York & New Jersey. Our team specializes in same day bed bug extermination throughout New York & New Jersey, general pest control, and Eco-friendly pest management solutions. Menachem Tewel not only joined Youth Community, Mendel Tevel also works with Hospice as a type of palliative care for people who are dying. Our glass can be used in the following applications: store fronts glass floors glass staircases shower doors shower enclosures bath enclosures glass countertops glass backsplashes all-glass entrances glass railings glass balconies glass balustrades glass partition. First Response Restoration LLC is a water damage restoration serving the Yonkers, NY area since 1991. Services include Water Damage Restoration, Emergency Water Removal, Fire Damage Restoration, Smoke Damage Restoration, Burst Pipe, Flood Damage, Emergency Plumbing, Dry Out Services, Appliance Leaks, Mold Remediation, Storm Damage, Carpet Cleaning, Sewage Cleanup and Air Duct Cleaning. "Breathe easy" with BEAM, LCC. Your one-stop shop for any renovation or disaster need. We offer an array of services including bathroom, kitchen and basement remodeling. At BEAM, LLC we also specialize in environmental issues, such as mold, asbestos and lead abatement. We also offer flood mitigation services. We are insured and are certified by the EPA and NYS. We assist you after a disaster and get you back to better than you were before. Additionally, we will assist you in getting a public adjuster who will fight to get you every dollar you deserve. We have a master construction team that begins where our abatement team leave off. My clients consistently tell me that my staff are the nicest workers they have ever met and we truly pride ourselves in our customer service. Give us a call today! First Response Restoration LLC is a water damage restoration serving the Danbury, CT area since 1991. Services include Water Damage Restoration, Emergency Water Removal, Emergency Plumbing, Flood Damage, Storm Damage, Burst Pipe, Dry Out Services, Appliance Leaks, Fire Damage Restoration, Smoke Damage Restoration, Mold Remediation, Mold Testing, Sewage Cleanup and Trauma Scene Clean Up. You’d want to hire a New York environmental and restoration company to safely remove mold, or to rebuild after a fire or flood. Unlike normal renovation professionals, a restoration company will often start by securing your home and possibly removing dangerous contents before beginning any repair work. Most environmental damage is caused by water, fire or wind, so you’ll want to choose a New York restoration professional with experience in one or all of these areas. What about mold remediation? Mold remediation is the process of removing mold safely following industry protocols. Special training, equipment and licensing are required. Make sure you are working with New York certified, licensed and insured professionals who guarantee and warranty their restoration work. Older homes needing restoration may have lead paint on walls, doors, windows and windowsills. Lead that gets disturbed by sanding, cutting or replacing old windows can create hazardous lead dust. If your New York home was built before 1978, you’ll want to find restoration professionals with experience and training in lead-safe procedures. Find environmental services and restoration professionals on Houzz. Narrow your search in the Professionals section to Rye, NY residential environmental testing and home disaster restoration services to find a list of qualified professionals. Read through professional profiles for information on qualifications, experience and services provided.